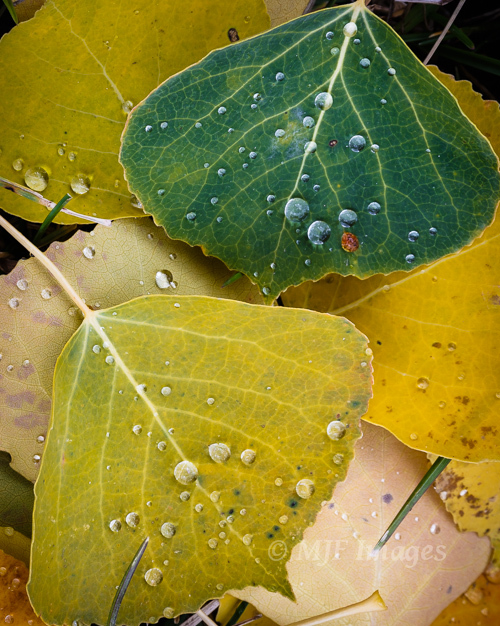 Quaking aspen in peak color not far from Telluride, Colorado. Earlier this year I took a break from serious photography for a few months. Finally in late July I purchased a new DSLR and began shooting seriously again. Although my break was essentially forced on me by the loss of a camera, I now see the benefits (and cautions) of purposefully taking a break from shooting. Here are a few things I learned. Burnout: If you are shooting a bunch for a long time you will undoubtedly become better with all that practice. But you may also reach a point of diminishing returns. It’s possible, even for the most enthusiastic photographer, to get tired of it. And as soon as you begin to lose even a little motivation, you are not doing as good a job. You stay in your comfort zone. You don’t work quite as hard for that image. If you find yourself not searching as much for unique compositions; if you’re shooting the same subjects in the same sort of light, if you aren’t working the subject like you used to, you could be burned out. And it could be solved simply by taking a break. New Creative Outlet: Although you can certainly continue to shoot while trying your hand at painting or writing, for example, it may be best depending on your personality and time demands to focus your attention and efforts solely on the new undertaking, without the distraction of shooting. New Subject or Genre: If you want to transition from one type of photography to something completely different, you’ll need to learn some things. Of course you will need to shoot to learn, but before you do this it may be advantageous to take a break from all shooting. Then you can read about and view images of the new genre. Also, you’re going to define a different style, or at least a variation on your shooting style. This takes some time and some thinking. It may help, before you jump right into the new genre, to pause and view it from an outsider’s perspective. While doing this you can do some serious thinking about how you want to approach the new thing. Renew your Passion: This reason is relevant to all of the above points. For example, if you will be changing photography genres, taking a break will help you really get into it when you return to shooting. This goes double if you are borderline burnt out. In fact, it may be because you are burnt out that you consider a new type of photography or a new creative outlet in the first place. I’ve found that photography is no different than anything else. In order to do well you need to really go for it. You need to be passionate. Sunset approaches at Great Sand Dunes National Park, Colorado. Driving up into the mountains of SW Colorado in autumn, and Chimney Rock looms ahead. Think: One thing I’d recommend while on hiatus from photography is to think about how you’re going about it. Are you developing a style you are comfortable with or merely chasing popularity on Facebook? Think about the way you’re shooting, the types of subjects you’re naturally attracted to vs. the ones that elicit the “wows”. Envision the way you’ll go about photography when you return to it. Read: This is also a great time to do some reading on photography. While there’s nothing wrong with reading up on technique and how-to, this is the best time to read about the history of photography and some of the great early photographers. Anything that gets your mind working as you reevaluate your approach and style is a great use of your time. And while shooting, especially if you are shooting every day, it’s harder to find the time for this. Look at Images of other photographers: I’m not really talking so much about the internet here. It’s more related to the above point. As you read, for example, about Edward Weston or Dorothea Lange, you will naturally be viewing their work too. Of course you can do this while shooting too, but during a pause the effect on you might be different, more conducive to objective analysis of your approach. Try something else creative: Even if this is not your reason for taking a pause, it’s a great way to recharge your batteries and broaden your outlook on the arts. Even something as simple as model railroading or origami can pay unexpected and unpredictable dividends when you return to shooting. Get your Portfolio squared away: There are plenty of ways to improve your portfolio of images, from re-editing a few of your older pictures to a wholesale reshuffling of the images displayed in your online galleries. Is it time to design or redesign a website? All of this is more easily done when there are no new images coming in. This subject is worth its own post. But a break in shooting is the perfect time to go through your existing portfolio and improve it. Get your Images in front of more eyes: After going through your portfolio, the logical next step is to look at ways to promote it. Whether you want to start selling some images, want to get some of them critiqued, or simply want to connect with new people via your images, you now have time to focus on getting your images circulated. Now is also a great time to print some of those you’ve been wanting to print, to look into art shows, farmer’s markets and even galleries. Catch up on the Blogging World: You knew this was coming! Now you might be also taking a break from the internet. While that’s worth considering too, there’s no reason it has to be the same time as a photography break. This is a great time to expand (in moderation – see below) your reading and image-viewing online. Find new bloggers and connect more with those you already know. If you don’t blog, why not start one now? A blustery-cold snow-squall moves in and the fall colors just soften. A waterfall near Creede, Colo.
Getting rusty: It’s very likely that your photography skills will, depending on how long your break is, suffer a decline. But this “rustiness” is only temporary. It’s certainly not a reason, in my opinion, to forego a photography hiatus. Just be aware of it when you return to shooting. Don’t beat yourself up if you screw up some shots that you would’ve nailed before. You’ll get it back. Equipment envy: It’s amazing to realize how quickly new camera gear comes out these days. Especially if you decide on a months-long break, there will be new “breakthrough” cameras and other toys to tempt you. Friends you shot with before may have fancy new equipment when you get back together with them. My recommendation is to ignore it. Invest in new gear only if you feel you’re at a point to make it really pay (whether in real money or in significant advantages in your ability to make the images you want). Returning from hiatus you’re unlikely to be at a point where new equipment will pay off. Shoot for awhile first. Image envy: It’s probably inevitable that a pause in shooting will enable you to view a lot more online imagery than you previously had time for. Depending on where you are as a photographer, you’ll need to rein in this inclination to a greater or lesser degree. It’s a good idea to search for new and different photographers while on pause, but moderation is the key. Don’t fall into the trap that others are racing ahead of you, or that you’re missing out on a great time of year to shoot (they’re all great!). Shooting Casually: I did this but I’m not sure how productive it was. I had a little point and shoot and occasionally shot with that during my break. It was pretty casual but I found myself trying to make the camera do some pretty heavy lifting. While I did get some nice images this way, it sorta defeated the purpose of taking a break. If you’re sure you can do snapshots only and not get too serious, I say go for it. But realize it’s a little like taking a drink or smoking just one cigarette. Realize also that when you return to shooting you’ll need to get completely out of snapshot mode and back into serious shooting. That’s not always easy. Black Canyon of the Gunnison just before dark, Colorado. I recommend not rushing it. Make sure you’re ready to get back to shooting. It’s okay to miss photography; just don’t use that as an excuse to end your hiatus too soon. When it’s time, you’ll be chomping at the bit but also ready in a patient and measured way. As mentioned, expect some rustiness for awhile. Keep your expectations modest and don’t stress missed shots. Just work at the basics and, as always, let your own unique vision guide you. Have fun! I have the distinct feeling there is more to this than what I’ve written here. So if you have anything to add, please don’t be shy about commenting. Have you taken a break from photography before? Was it forced on you or voluntary? You may have an argument for or against going on hiatus. Or perhaps you’ve an additional caution or caveat to relate. I will definitely consider it again in the future, despite the drawbacks. Storm clouds gather and the quaking aspen aren’t bothered at all: San Juan Mountains, Colorado. Evening comes on after a glorious sunset at Dallas Divide, Colorado. Sometimes, when we are at the top of our game, we get bored and look for a change…that is true for many other activities as well. You have such a gift for photography, so I am hoping you will continue with it. However, if the joy is not there, it becomes a drag. Taking a creative break may lead you in directions you hadn’t thought of before. Sharing how you are feeling with others may provide you with insights that pop up as you are trying to explain your situation to others or they might have a new angle for you…. Thanks but I believe I’m very low on the learning curve with photography. I do believe strongly that we figure it out as we communicate it with others, which is one of the main reasons I blog. I was glad to see this post as it makes me feel not so alone. By the way, the shot of Great Sand Dunes at sunset is quite lovely and my favorite of the group. I haven’t exactly been on a hiatus since I’ve been out photographing about 1-2 times a month for the last 6 months. But 1-2 times a month isn’t enough to stay sharp, so it feels like a hiatus. In my case I can chalk it up to laziness and a general lack of motivation to shoot my local area. It’s a bit unsettling to be in such a creative rut. I have two trips coming up to iconic locations in the West and have no doubt that I’ll be up early and out late to photograph each day, but I think one really has to shoot locally to develop as a photographer. That said, this was a great piece! Thanks for the thoughtful comment Blake! Totally agree LuAnn, and thanks! With winter on the way I now have a check list of things to do when it’s too cold to go out. Thanks. And welcome back. Thank you! I want to check out what everyone has been up to. Gotta go back to work in order to have time, haha! Beautiful photos….and interesting thoughts about taking a break from shooting. Such a valuable post. Thank you. I agree that taking a break is always rejuvenating so that you can come back with a new and positive outlook. Your photos as always are glorious and inspiring. The leaves with the water droplets are breathtaking in their beauty. Thank you so much for the nice words Andrew! Great perspective! Last month I took over 1400 photos at the night and day Oregon Air Show in Hillsboro and then went up to Seattle and didn’t take a shot. Thanks Annette! That would’ve been hard for me to do in Seattle.